The global travel tech startups' space has raised almost $1.5 billion in funds from 141 deals in the first half of 2016. According to a report by CB Insights, travel tech companies accounted for the third-highest deal count by the second quarter of 2016. This was despite a 35% decline in funding, it said. Interestingly, 67% of deals had moved out of the US in 2016 year-to-date. 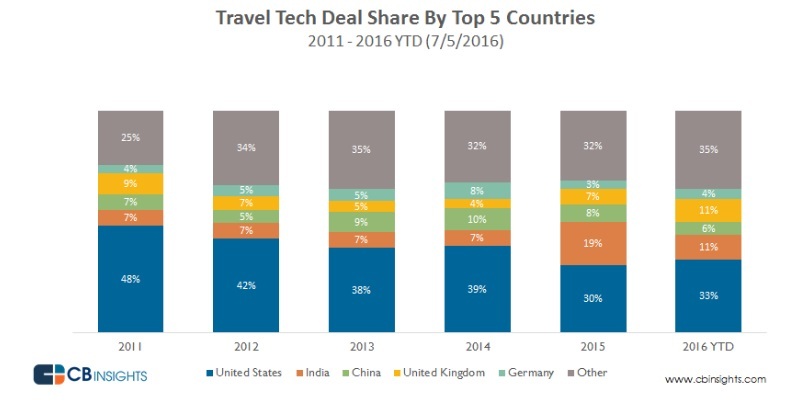 US’ deal share for travel tech startups has dropped 15% in 5 years. 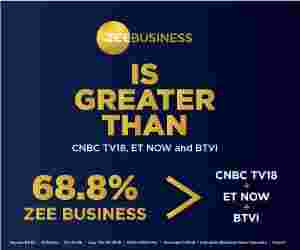 According to the report, one of the major factors for the drop in deals in the US is because of the rise in activity in emerging market Asian economies like India and China. Out of the ten most well-funded startups listed by CB Insights, two Indian travel tech startups made it to the list -- Ibibo and Oyo Rooms. While Ibibo at number five on the list has total disclosed funding of $273 million, Oyo Rooms, listed at number seven has $226 in total disclosed funding. Ibibo counts Naspers and Tencent as its investors, while Oyo Rooms has a long list of investors -- Amit Patni, Anand Ladsariya, Bharat Banka, DSG Consumer Partners, Greenoaks Capital Management. In Q2 2016 alone, travel tech startups around the world raised $587 million across 73 deals, a 7% jump in deal activity over Q1 2016. India’s travel tech start ups' deals in 2016 so far have grown 11% year-to-date. Travel tech companies are companies that are tech-enabled companies offering services and products focused on tourism, including booking services, search and planning platforms, on-demand travel, and recommendation sites. Car-hailing services are excluded. US-based AirBnB topped the charts of the well-funded companies after raising $3.4 billion in funding. While China's LY.com ranked second with the total disclosed funding amount of $1.4 billion.